The IAS research centre is now located in the new and beautiful (though windowless) Centro Carlos Santa Maria, which also hosts the library. For detailed information about how to find us see our contact page. Image courtesy of Alfredo Sanjuán. The blog now features a page that aggregates the most recent publications in a number of relevant journals. Currently the list includes Artificial Life, Adaptive Behaviour, Biology & Philosophy, PLos Computational Biology and Theoretical Biology. The list and format might still change, but I hope you’ll find it useful already. The page is http://www.ias-research.net/publications/relevant-journals/. Postdoc and Doctoral Scholarships at the Leo Apostel Center for Interdisciplinary Studies. The annual call for applications for a Post-Doctoral Fellowship or a Doctoral Scholarship at the Leo Apostel Centre for Interdisciplinary Studies (Brussels Free University, Belgium) has been released. It offers a broad range of research fields including constructivism. More information can be found on http://www.vub.ac.be/CLEA/apply/call. 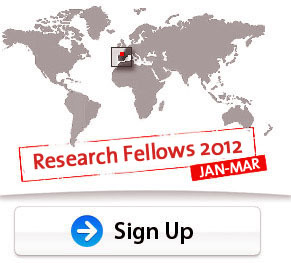 Application deadline is 7 January 2012. Ikerbasque, the Basque Foundation for Science has opened the annual call for attracting 20 postdoctoral researchers to the Research Institutions in the Basque Country. The applicants must have their PhD completed before January 2010. Support letter from the PI of the host institution/department/ group is mandatory. Researchers with a permanent position in the Basque Country are not eligible under this call. This call is financed by the Basque Goverment. Ikerbasque, the Basque Foundation for Science opens the annual call for attracting 20 senior researchers to the Research Institutions in the Basque Country. The applicants must have their PhD completed before January 2008. Only researchers with a solid research track, senior level and international research experience will be considered. Researchers with a permanent position in the Basque Country are not eligible under this call. This call is cofinanced by the European Commission (SMARTbrain project), and the Basque Goverment.